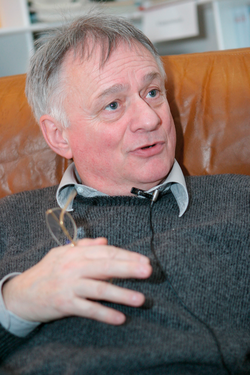 Gerhard Amendt is professor emeritus at the University of Bremen’s Institute for Gender and Generational Research. Since the year 2000, he has been conducting a research project and has surveyed more than 3,600 divorced fathers on their divorce experiences. He has published extensively on relations between the sexes. About I Didn’t Divorce My Kids! Amendt’s incisive look at divided families also explores the impact that a single-parent household has on children’s well-being, criticizing the American tendency to over-pathologize normal reactions to familial upheaval. Even the most civilized of divorces, Amendt argues, can cause rage, sadness, potential health problems, and behavioral disturbances in otherwise well-adjusted children. The broad spectrum of experiences recounted in this book will be essential reading for anyone interested in, or personally shaped by, the changing face of the modern family. For many divorced fathers, separation is a dramatic event that causes them to lose their composure, at least for the moment, and prevents them from carrying on with their everyday lives as usual. A divorce not only touches their private lives, but also affects their professional activi­ties in a conspicuous number of cases. Quite a few of them temporarily lose their capacity to act, succumb to depression, or react to their envi­ronment with inappropriate vehemence. The way that Martin W. fought to maintain his relationship with his child after his wife left him is therefore all the more impressive. He succeeded in remaining cool-headed, focused entirely on his relationship with the child, and through well thought-out planning was able to use attorneys and judges to further his own interests. Often, other fathers can only hope for what Martin W. accomplished, namely, not to wind up at the mercy of the experts and their opinions, the social service workers and the legal system. There was an additional factor in creating an ideal framework for reordering his private life: he enjoyed the possi­bility of organizing his work in a flexible manner. Martin W. was born in 1958. He is a senior executive of a major corporation with offices across the world. At the time of his separation, he and his family were living in Turkey, where he was one of the com­pany’s key representatives. Martin W. had been married to his wife for eleven years. The couple had been separated for two and a half years. Their daughter is currently ten years old. Today, Martin W. lives with his daughter in Cologne, while his ex-wife has returned to Turkey together with her new husband, who precipitated the separation. To this day, Martin W. cannot understand what caused his then wife to terminate a relationship that—in his words—was functioning well. Martin W. took this advice to heart.